Idaho contains a schizophrenic geography of high arid deserts and youthful jagged peaks, interwoven with deep whitewater canyons and old conifer forests. 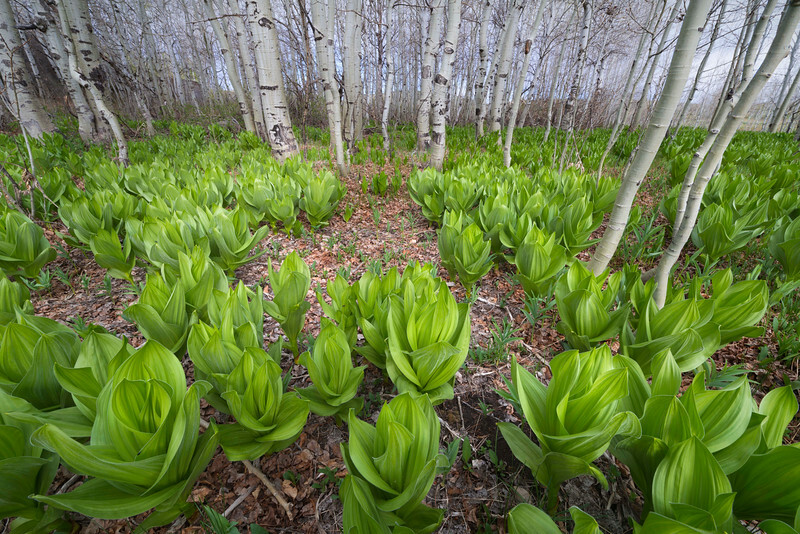 The wonderful green clusters of White Hellebore ( veratrum viride) looks for sun and sky in the wetlands of the City of Rocks National Reserve, in southern Idaho. This plant, however, is quite poisonous, which paralyzes both the heart and spinal cord if ingested.